Famotidine (brand name: Pepcid®, Apo-Famotidine®) is an H2-receptor antagonist that is used to reduce stomach acid production for conditions such as gastrointestinal ulcers, inflammation of the stomach due to kidney disease or stress, inflammation of the esophagus, or for acid reflux. Its use in cats, dogs, and small mammals to treat ulcers is 'off label' or 'extra label'. 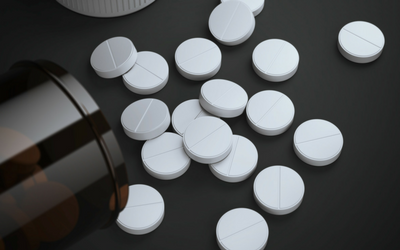 Many drugs are commonly prescribed for off label use in veterinary medicine. In these instances, follow your veterinarian’s directions and cautions very carefully as their directions may be significantly different from those on the label. Famotidine is given by mouth in the form of a tablet or liquid suspension. In your veterinary hospital, it may also be administered by your veterinarian as an injection. It should be given on an empty stomach before the first meal of the day. If your pet vomits when given the medication without food, try giving it with food or a treat. This medication should take effect within 1 to 2 hours; however, effects may not be visibly noticeable, and your veterinarian may need to do laboratory tests to evaluate if the medication is working. What if I miss giving my pet the medication? If you miss a dose, give it when you remember, but if it is close to the time for the next dose, skip the dose you missed and give it at the next scheduled time, and return to the regular dosing schedule. Never give your pet two doses at once or give extra doses. When giving the injectable form of famotidine your veterinarian may note a low heart rate. Other possible side effects extrapolated from human studies include gastrointestinal effects such as vomiting, diarrhea, or lack of appetite, headache, dry mouth, and dry skin. Rarely, a low white blood cell count can occur. This short-acting medication should stop working within 24 hours, although effects can be longer in pets with liver or kidney disease. Are there any risk factors for this medication? Do not use famotidine in pets that are allergic to it. Use cautiously in pets that are geriatric or that have liver, kidney, or heart disease. Use caution in animals that are pregnant or nursing. Are there any drug interactions I should be aware of? The following medications should be used with caution when given with famotidine: azole antifungals, cefpodoxime, cefuroxime, cyclosporine, iron salts, or QT-prolonging medications such as cisapride or fluoxetine. Be sure to tell your veterinarian about any medications (including vitamins, supplements, or herbal therapies) that your pet is taking. Is there any monitoring that needs to be done with this medication? There is no specific monitoring that needs to be done while your pet is taking this medication. Your veterinarian may monitor your pet to be sure that the medication is working. How do I store famotidine? Famotidine tablets should be stored at room temperature in tight containers away from light. The powder for creating the liquid suspension should be stored in a tight container in a dry place below 40°C (104°F). Once in the liquid suspension form, the liquid should be stored at less than 30°C (86°F) and discarded after 30 days. Do not freeze the liquid suspension. Storage instructions of compounded liquid suspensions vary depending on the preparation. Follow the instructions on the bottle carefully. If you suspect an overdose or an adverse reaction to the medication, call your veterinary office immediately. If they are not available, follow their directions in contacting an emergency facility.